Surnames: Langseth, Soleberg, Tarbet, Rothstein, Innes, Young. John Langseth, who is the president of the Dixon Savings Bank and for more than a quarter of a century has been connected with the stock business in Iowa, was born in Christiania, Norway, September 29, 1846, a son of Hans and Christina (Soleberg) Langseth, who were natives of the same place as their son. The father followed farming somewhat in the old country and accordingly in 1854 came to America. He settled first in Rock Island, Illinois, where he secured work as a laborer, a few years later he resumed farming, to which he devoted himself with good success. In 1864 he moved his family to Scott county, Iowa, and in Allens Grove township secured a tract of land, which remained his home throughout the remaining years of his life. Two children were born to him and his wife: John, the subject of this sketch; and Mrs. Mary Tarbet, of Calamus, Clinton county, Iowa. John Langseth accompanied his parents when they came to the Unites States and on their removal to Scott county, living with them in Allens Grove township, until 1871,w hen he married and set out to make his own way in the world. For five years he worked on a farm in this county and then engaged in mercantile business in Buena Vista, Clinton county, which he conducted for about twenty years. At the end of that period, in 1896, he sold his store and went to Wright county, spending five years there, although he did not relinquish his connection with business during that time but was actively engaged in buying and selling stock. He returned to Dixon in 1904. In September of the following year Mr. Langseth became instrumental in the organization of the Dixon Savings Bank, of which he was elected president, and in this capacity he has continued to guide the policy of the institution. It is a flourishing concern, supplying a long felt want in the community, but while it has given ! a field for the exercise of the pronounced business ability which is one of Mr. Langseth's predominant characteristics, it has not wholly absorbed his time, for he is still interested in the buying and selling of stock, in which he has engaged, in connection with his other enterprises, for more than twenty-five years. It has been one avenue through which success has come to him, although in this as in the other walks of life, his good fortune has been dependent upon those sterling qualities of manhood which came to him as a heritage from his father. The latter was one of the substantial citizens of his community, although he ad come to this country a poor man, and, profiting by his example, the son has risen to a position of honor, respect and prosperity among those with whom he has come in contact. It was in 1871 that Mr. Langseth was united in marriage to Miss Ellen E. Rothstein, who was born in Mexico, Pennsylvania, June 29, 1850. In her infancy she was adopted by F. E. Rothstein, and at the age of two years was taken by him to California, where she lived for about seven years. At the end of that time she came to Scott county and was living in Allens Grove at the time of her marriage. Five children have been born to Mr. and Mrs. Langseth, namely: Elizabeth, now the wife of James A. Innes, of Eagle Grove, Iowa; Mary Elizabeth, the wife of J. F. Young, of Oklahoma; Ruth Irene, a senior at the State College at Ames, Iowa; John F., who died in 1885 at the age of seven; and Ervin S., who also passed away in that year when he was three years old. Mr. Langseth is a member of Dixon Lodge, Knights of Pythias, and of the Masonic Lodge at Wheatland. In both of these societies he is very active and plays a prominent part in their work and social affairs. Indeed he is a man who makes his way to the fore in whatever he undertakes, and the community feels the effect of his energetic personality and his power to accomplish the things upon which he sets his determination. Surnames: Nagel, Kingsley, Sergent, Cosgrove, Jensen, Wessel, Jepsen, Junge, Russell, Gilmore, McDowell, Pringle. Labor is the law of life and the world has little respect for the idler. Not until old age is reached does it seem fitting that man should put aside the cares and responsibilities of business, thus relegating to others the burdens that he should bear. A very busy and useful life has been that of Thies Nagel and now, at the age of ninety-one years, he is enjoying a well earned and well merited rest. He was for many years associated with industrial interests in Davenport as a carpenter and cabinetmaker. He was born in Dithmarschen, Holstein, Germany, January 16, 1819, a son of Henry and Margaret Nagel, who spent their entire lives in Germany, where the father was employed as a farm hand. Thies Nagel had but limited opportunities in his youth but learned well the lessons of industry and frugality. After attending the schools of the neighborhood to some extent he took up the trade of carpentering and cabinetmaking. When he was asked by an educated man why he was coming to America he answered that in a new country they would need houses and there would be chances for the builder. He therefore boxed up his tools and work bench and started for the new world in 1852, accompanied by his wife and four children. After nine weeks spent upon the briny deep they landed at New Orleans and thence made their way up the Mississippi river by steamboat to St. Louis, where they arrived after at rip of eleven days. By that time there was so much ice in the river that they could not get a boat to Davenport, which was their destination. They, therefore, spent the winter in S. Louis and the following spring came tot his city. After arriving in Davenport Mr. Nagel was first employed by Mr. Kingsley, an English carpenter boss. His shop was on the alley between Fifth and Sixth streets and Brady and Main. He not only worked at his trade but also began to learn the English language under the direction of his employer. He was very eager to master the language and to this end had studied all the way over from Germany. Among his fellow workers in that early day was George McClellan, who later became one of the most prominent men of Davenport. Mr. Nagel was in the employ of Mr. Kingsley for two years, his first labor being in connection with the construction of a building for Mr. Sergent at the head of Brady street. Mr. Sergent was the first banker of Davenport and Mr. Nagel made the doors and window frames of his house by hand, as there was no machinery for such purposes at that time. He afterward worked on the North Putnam building, which was known then as the LeClaire row. For a time he was engaged on the construction of that row, which when completed was the finest in the town. He was also employed on the building of a residence for Antoine LeClaire, which later became the home of Bishop Cosgrove. About 1853 he also worked on the St. Joseph's Catholic church at the corner of Fourth and Main streets, this being the oldest Catholic church in Davenport, and it was the first building on that block, the entire block being given by Antoine LeClaire for the purpose for which it was used. Carpenters in those times received a wage of a dollar per day. Mr. Nagel's employer had three prices--a dollar, a dollar and a bit and a dollar and two bits-according to the efficiency of the workman and the importance of the class of work which he did. Mr. Nagel was recognized as a fine mechanic but, as he was a new man, was placed in the middle class, as his labor was somewhat hampered by the fact that he could not be sent out alone on a job, as he did not them sufficiently understand the English language. In 1857 the country became involved in a financial panic and work became very scarce. Mr. Nagel was then compelled to go to Rock Island, where he worked for a year and his services were paid for only in merchandise. Times improving, however, he returned to Davenport and obtained employment in the furniture factory of Collins & Skeel, there continuing until the time of the war, when he turned his attention to bee culture and has since devoted his energies largely to the management of an apiary. During the war he purchased a small tract of land in the suburbs of Davenport, erected thereon a comfortable residence and lived there until 1893, when he went to live with his son, J. J., at his present home at No. 906 West Locust street. Mr. Nagel was married in 1843 to Ingeborg Jensen, who died in 1857, leaving four children: Margaret, the wife of Hartwig Wessel, of California; Jen J.; Christina, the wife of Hans Jepsen of Davenport; and Catharine, the wife of Ferdinand Junge, of Nebraska. Of this family Jens J. Nagel was born in Germany, June 26, 1846, and was brought to America by his parents when six years old. The first school he attended was at the corner of Fifth and Scott streets in Davenport and he passed through consecutive grades until he was graduated from the high school and also from the training school. Following his graduation he became a teacher in the country school in Liberty township, eighteen miles from Davenport there remaining for a year. This was during the period of the Civil war. He afterward returned to Davenport and entered the training school. Subsequently he spent two years as general delivery clerk under Edward Russell in the Davenport postoffice and then resumed teaching, since which time he has devoted his attention to the to the profession. He taught in Davenport until 1866 and then went to Minneapolis, where he became principal of a school, so continuing until 1869, when he returned to this city and was continuously numbered ! among its public-school instructors until 1909. He taught in the Madison school for thirty-nine years and at present is connected with Duncan's Business College. He is one of the best known representatives of educational interests in this part of the state and his labors have been a most forceful and beneficial factor in promoting the interests of public education. Professor Nagel was married July 2, 1872, to Miss Sadie Gilmore, a daughter of George and Maria Gilmore, of Minneapolis, Minnesota. They have become parents of six children. Walter, who enlisted for service in Company B, Fiftieth Iowa Regiment, in the Spanish-American war, contracted fever from which he died while in camp at Jacksonville, Florida, when twenty-six years of age. He was a graduate of Stanford University. Laura is a teacher of the high school in California. Alice is the wife of John E. McDowell, who is assistant registrar in the employ of the state government at St. Paul, Minnesota, married Ruby Pringle. Helen is now a member of the junior class in Stanford University. Margaret is a pupil in the grammar school of Davenport. Thies Nagel was a prominent member of the Lutheran church and in politics is a stalwart republican, having continuously supported the party since Fremont was its first presidential candidate. Professor Nagel and his family are member of the congregational church and he is an advocate of prohibition principles, casting his ballot in support of the men and measures that promote the temperance cause. Both father and son have led honorable, upright lives and their history is closely interwoven with the industrial and educational records of this city. Frank H. Maass, who from early manhood made his home in Scott county, passing away in Davenport July, 19, 1900, was born in Prussia, Germany, on the 1st of August, 1852. He remained a resident of his native land until his fourteenth year, when he came to America and for a short time resided in Cincinnati. He then came to Scott county and for a year was employed at farm labor after which he took up his abode in Davenport and established a livery business which he conducted until his death. He first drove a hack for Judge Parsell and managed his livery barn, but later formed a partnership and purchased a livery barn on Commercial alley, which he conducted until the fall of 1884. The following spring he sold out there and bought the livery business of Bob Porter on Fourth street. There he remained until his death and his barn was liberally patronized, so that his business proved a profitable enterprise. He also conducted an undertaking business for a time and bought and sold horses being seldom if ever mistaken in the value of an animal, so that his investments were directed by sound judgment and resulted in substantial success. At the husband's death Mrs. Maass became the owner of the livery barn and since that time has sold an interest in the business to Mr. Atkinson, who has charge thereof. Mr. Maass was a member of Unity Lodge, A. F. & A. M., in which he filled nearly all of the chairs and at one time served as master. He also belonged to Tecumseh Tribe, No. 32, I. O. R. M. In Masonry he attained the thirty-second degree of the Scottish Rite and was ever an interested exponent of the principles of the craft. In politics he was independent, but was a public-spirited citizen and a charitable, kindly man, ever ready to lend a helping hand where assistance was needed. Surnames: Petersen, Klug, Kruse, Weis, Roddewig, Sonntag. The history of Theodore Petersen constitutes an interesting and important chapter in the commercial records of Davenport for through forty years he was classed with the leading merchants of the city. His devotion to his business interests, his close application and his thorough reliability were features in his life that won for him the respect of his colleagues and associates and constituted an example that is well worthy of emulation. He was born November 6, 1836, on the island of Fehmarn, Germany, and spent the period of his minority in his native country. But the opportunities of the new world constituted for him an irresistible call and in 1858 he severed the ties which bound him to Germany and crossed the Atlantic. For a year he remained a resident of New York and then came to Davenport, entering business circles in this city as a salesman in the employ of Otto Klug, with whom he continued for two years. He afterward went to Chicago where he remained for two years, being employed there by Sehn Brothers, the firm of Herzberg & Goodman and Kehoe & Company. On the expiration of that period he returned to Davenport and in 1872 formed a partnership with Fred Kruse at 310 West Second street. There they conducted business for many years and in that period developed an enterprise of large proportions, carrying an extensive stock and meeting the demands of the public in a liberal business policy and with progressive methods. Systematic and methodical in the conduct of the business, careful in management and reliable in all commercial transactions and relations, he won an enviable reputation and was accorded a volume of business that made the undertaking one of substantial profit. After the death of Mr. Kruse in 1902 Mr. Petersen retired, tuning over his interests to his son, Julius N.
It was in Davenport that Mr. Petersen was married to Miss Katherine Weis, and unto them were born five children: Theodore, who died in 1897 at the age of twenty-seven years; George P.; Julius N., junior partner in the firm of Petersen & Petersen; Olga, the wife of Louis E. Roddewig; and Elsa, the wife of Philip A. Sonntag. Mr. Petersen passed away on the 18th of April, 1904. He was prominent among the German-American residents of Davenport and was one of the organizers of the Turngemeinde, of which he was a member for over a quarter of a century. He preferred to do his duty as a private citizen yet was never neglectful of his obligations to the public welfare but gave of his time and means to further municipal interests. As the architect of his own fortune he builded wisely and well. No vain hope allured him to the new world. He had no untried standards but at all times recognized the fact that indefatigable labor is the basis of success and that commercial integrity constitutes an indispensable feature therein. He therefore labored earnestly to win his advancement and for a considerable period occupied a conspicuous and creditable place among the successful business men of this city. Surnames: Frauen, Golinghorst, Duge, Runge, Boll, Heilmann. A highly cultivated farm of one hundred and sixty acres on section 20, hickory Grove township, is the home of George Frauen. He was born in St. Louis, Missouri, February 22, 1852, and on the 1st of April following was brought to Scott county by his parents, Christian and Mary (Golinghorst) Frauen. The father was born in Holstein, Germany, July 25, 1819, and came as youth to America. For fourteen years thereafter he followed the sea, touching the ports of New York, Boston, Philadelphia and New Orleans. He then abandoned a seafaring life and, locating in the Crescent city, there he was united in marriage to Miss Mary Golinghorst, who was born in Hanover, Germany, January 1, 1828, and came to America a year or two prior to her marriage. They began their domestic life in the Crescent city but there remained for only one year, removing to St. Louis in 1850. It was while residing in that city that their two sons, John and George, were born, the former on the 4th of April, 1850. After a residence of but two years in St. Louis, the father sought a home in Iowa, making a permanent location on eighty acres of land in Hickory Grove township, Scott county. He then took up the work of general farming, which he continued to follow throughout his remaining years, but in the meantime he added to his possessions, owning at the time of his death a half section of land. The wife and mother departed his life on the 10th of May , 1889, and the father, surviving for a long period, was called to the home beyond on the 7th of February, 1907, having reached the age of eighty-eight years. Both are buried on the home farm. This place is now owned by the son John, it comprising on hundred and sixty acres on section 19, Hickory Grove township. He is engaged in farming and is numbered among the substantial residents of this section of Iowa. George Frauen, the immediate subject of this review, was but a few weeks old when brought by his parents to Scott county. He was reared to farm life, spending his time in the usual manner of farm lads of that period. When starting out upon an independent career, he chose the occupation to which he had been reared, first renting land of his father and cultivating it for about fifteen years. In the meantime he prospered and in 1891 was able to purchase his present farm of one hundred and sixty acres, located on section 20, Hickory Grove township. Since taking possession he has made substantial improvements and now has a valuable property, the soil yielding rich harvests in their season. He gives his time to farming and stock-raising and is meeting with merited success. Mr. Frauen has been married twice. He first wedded, in 1875, Miss Doris Duge, who was born in Davenport and passed away in Hickory Grove township in 1891, at the comparatively early age of thirty-three years. She was a daughter of Louis Duge, a native of Germany. At her death she left eight children: Edward, a resident of the state of Washington; Mary, the wife of Louis Runge, of Allens Grove township, Scott county; Christ, who makes his home in Minnesota; George, who is located in Davenport; Dora, the wife of Charles Boll, a resident of Hickory Grove township; Henry; Louis; and Annie. Mr. Frauen was married on the 12th of April, 1896, to Hattie Heilmann, who was born in Bæarn, Germany, on Christmas day of 1872 and came to the new world in 1893. After a time spent in Chicago, she came to Scott county, where she has since made her home. By her marriage she has become the mother of seven children: Annie, John, Hugo, William, Helbert, Rosa and Leonard. Mr. Frauen belongs to the Odd Fellows lodge at Davenport and to the Knights of Pythias lodge at Walcott. He is an enterprising and progressive farmer, as is indicated by a glance at his well kept farm. Is one of the nice country homes of Hickory Grove township and its hospitality is one of its most pleasing features. John Benedict, who is one of the prominent and successful business men of Davenport, was born in Rock Island, Illinois, September 2, 1864. His father, John Benedict, Sr., was a native of Pennsylvania, where he grew to maturity and was married, but with the hope of bettering his fortunes he brought his family west. He chose Rock Island as his destination, but at Geneseo, Illinois, was stricken with typhoid fever and there died. His widow, continuing to the end of the journey, took up her residence in Rock Island where she made her home throughout the rest of her life. John Benedict, reared in the city of his birth, is indebted to its public schools for the education he acquired. He was not long permitted, however, to devote his time to his studies, for at any early age he had to begin work. Then, as now, he believed that a man could do his best work when conducting his own business, and through pluck and industry, he was soon able to open an establishment of which he was the head, being engaged in the manufacture of reed chairs and children's carriages. He notably prospered while in Rock Island, but feeling that larger opportunities lay in Davenport, he removed to this city. Shortly after his arrival here he sold his business and became a traveling representative and later manager of the Morgan Match Company, continuing in the latter capacity until 1904, when he again established a business of his own. In the subsequent years he has dealt in building material, his trade covering a radius of two hundred miles from Davenport. While Mr. Benedict possesses in high degree those faculties which are so potent in winning trade, he is also endowed with the ability to so conduct his affairs that they will gain for him a well deserved success financially and the good will of those who have dealings with him. In December, 1889, was celebrated the marriage of Mr. Benedict and Miss Minnie May Keys, a native of Rock Island. Two daughters, Almira May and Minnie Esther, have been born to them. Mr. Benedict is a member of the local lodge of the Benevolent and Protective Order of Elks and also belongs to other organizations of a social and fraternal nature. He is a republican in his political preferences but is not an aspirant for office. Nevertheless he has strong feelings upon the matter of government, and high ideals as regard citizenship in general but in particular in regard tot eh freedom of office from graft and all illicit practices. He has always taken a keen interest in matters of public concern, and, being a man of strong convictions and endowed with a power of expressing his views convincingly, his influence, ever asserted in worthy cause, is not without its effect. Surnames: Sears, Howe, Haight, Jennings, Knostman, Dow, Murphy. Isaac H. Sears, long one of the most prominent representatives of the business men of Davenport, has been a resident of the city for more than a half century and, although he has now passed the eighty-eighth milestone on life's journey, he may still be seen each day at the Scott County Savings Bank, of which he has been the only president, called to this office in 1883. Although the snow of many winters has whitened his hair, in spirit and in interest he seems yet in his prime. Old age need not suggest as a matter of course helplessness or want of occupation. On the contrary, there is an old age which grows stronger and brighter mentally and morally as the years advance and continually gives out of its rich stores of wisdom and experience for the benefit of others. Such is the record of Isaac H. Sears, a man honored wherever known and most of all where he is best known. Mr. Sears was born near Ballston, Saratoga county, New York, October 9, 1821, his parents being Alexander and Mary (Howe) Sears, who were also natives of that locality, although the Howes were of an old Connecticut family, while the Sears came form Massachusetts. The father was a blacksmith by trade and died about 1845. The mother lived to be more than ninety years of age. Both the grandfathers of Isaac H. Sears were soldiers of the Revolutionary war. In the father's family were nine children, of whom three died in infancy. One of the sons, Epeneus Sears, was an early settler of Fremont county, Iowa, where he engaged in the practice of law and served as judge of the district court. Isaac H. Sears attended the common schools until eighteen years of age, when he left home in order to have better opportunities of earning a livelihood. The first year he was employed in a clerical capacity in connection with the Croton Water Works. He afterward went to Berlin, Connecticut, where he spent a year as a clerk for a brother who was a contractor for the New Haven & Hartford Railroad. He afterward occupied a clerical position in connection with the Erie canal which was being widened and deepened. He spent about a years in that way and also a similar period in the service of the Albany & West Stockbridge Railroad. Returning home, he entered the employ of a wall-paper manufactory which was organized about that time. Gradually he worked his way upward in that service until he became superintendent of the business, his connection therewith covering five years. In April, 1855, he came to Iowa and made his way at once to Davenport, which at that time contained a population of about seven thousand but had no railroad. In company with W. K. Haight he established the first wholesale and retail saddlery hardware business in Davenport, his store being located at the corner of Perry and Second streets. The business is still carried on under the name of the Sears, Frizzell Company. Mr. Sears began operations on a small scale but continued the business for over thirty years, during which time he gradually increased his stock to meet the growing demands of the trade until the enterprise assumed extensive and profitable proportions. After a time he purchased his partner's interest and a little later turned over the business to his sons, giving into their charge what had become one of the large and important mercantile interests of the city. In the meantime Mr. Sears had become one of the organizers of the Scott County Savings Bank, which was established in 1883. he was chosen a trustee and director and at the organization was also elected president, in which capacity he has continued to serve to the present time. The record of the bank is synonymous with his own honorable name and no name is more truly a synonym for business integrity and enterprise in Davenport. Mr. Sears also became a director of the Davenport Woolen Mills, was long vice president of the company and for four years has been president, succeeding Samuel A. Jennings. He has ever been recognized as a man of sound business judgment, carefully coordinating forces and utilizing methods which lead to legitimate success. He has been quick to recognize the essential, to do away with all that is unnecessary and to economize time, material and labor but never at the expense of high class production or capable service. In 1843 Mr. Sears was united in marriage to Miss Nancy Jennings, a sister of Samuel A. Jennings and a native of Saratoga county, New York. They became parents of seven children: Samuel, a member of the Sears, Frizzell Company; Alexander, who is located at Colorado Springs, Colorado; Minnie, the wife of George W. Knostman, of Davenport; Jennie, who died at the age of twenty-two years; Nancy, the wife of John F. Dow, of Davenport; Bertha, the wife of George W. Murphy, a civil engineer of Seattle; and Isaac L., manager of the leather saddlery business of the Sear, Frizzell Company. The wife and mother died July 1, 1900, after a happy married life of about fifty-seven years. In all the period of his residence in Davenport Mr. Sears has stood as the champion of those measures which tend to benefit the city along the lines of material, intellectual, poitical and moral progress. He is an old-school democrat, loyal to his belief, and for several years he served as a member of the city council and also as a member of the board of supervisors, being chairman of the board for some time, including that period in which the courthouse, the poor house and other public buildings were erected. He saw the courthouse built and paid for and then retired from the board. While living in the east he was a member of the Independent Order of Odd Fellows. He has long been identified with the Episcopal church and his life has ever been actuated by high and honorable principles, in harmony with his professions. There are few men whose lives are crowned with the honor and respect which is uniformly accorded to Isaac H. Sears, but through more than a half century's connection with Davenport's history his has been an unblemished character. With him success in life has been reached by his sterling qualities of mind and a heart true to every manly principle. He has never swerved from the path of duty and now, after a long and eventful career-in which his usefulness still continues-he can look back over the past with pride and enjoy the remaining days of his earthly pilgrimage with the consciousness of having gained for himself by his honorable, straightforward life the confidence and respect of the entire community in which he lives. Surnames: Skelly, Paulson, Jassoy, Mauwaring, Oelkers, Sieboldt. The death of Joseph H. Skelly occurred in Davenport, November 25, 1900, after a residence of seven years in this city. He was born in La Salle, Illinois, December 16, 1854. His father was a pioneer of that locality and engaged in teaming in La Salle. In his youthful days the son attended the Brothers schools and was baptized and confirmed in the Roman Catholic church at La Salle. When fourteen years of age he began providing for his own support, taking up railroad work, in which position he was advanced from office boy to clerk, operator and train dispatcher. He thoroughly learned the railroad business and became a warm personal friend of William C. Brown, they starting in together as telegraph operators. Mr. Skelly spent many years in the service of the Rock Island, Northern Pacific and the Burlington Companies, and while at Creston, Iowa became affected with telegrapher's paralysis in his right arm. In 1893 he came to Davenport from Kansas City and opened a cigar store, handling all kinds of smokers' supplies and winning for himself a large and profitable trade. He was popular with the people here and built up a good business, which enabled him at the time of his death to leave his family a comfortable competence. Mr. Skelly was married in Stillwater, Minnesota, in 1888, to Miss Ernestine P. Paulson, a daughter of P. A. Paulson, who came to Davenport in the '50s and was for many years one of the leading business men of the city, carrying on a jewelry store here. He was lost at sea in the wreck of the Schiller, May 9, 1875. His wife had previously passed away. He left five children, all of whom survive him: Mrs. H. T. Jassoy and Mrs. L. L. Mauwaring, both of Stillwater, Minnesota; Mrs. Theodore Oelkers, of this city; G. A., also of Davenport; and Mrs. Skelly. The mother, who bore the maiden name of Julia Sieboldt, was a native of Germany. Unto Mr. and Mrs. Skelly was born but one child, E. J., who is at home with his mother. The death of the husband and father occurred November 25, 1900. He was a member of the first Business Men's Club of Davenport, also held membership in the Masonic fraternity and gave his political allegiance to the republican party. Although confirmed in the Catholic church, he attended Grace cathedral, now Trinity cathedral, of the Episcopal faith, after his marriage. His marked qualities were those which won him kindly regard and warm friendship as well as the abiding love of his family. His success in business was attributable entirely to his own efforts, for at the early age of fourteen he started out empty-handed and labored for those advantages which others sometimes receive through inheritance or through the offices of influential friends. His own diligence constituted the key which unlocked for him the portals of success. Surnames: Wernentin, Doering, Berwald, Lembke. Fred Wernentin, Jr., whose life record has been characterized by an orderly progression, is now the secretary and treasurer of the Midland Plumbing Supply Company, conducting a wholesale plumbing and supply business that is hardly exceeded in the extent of trade in the state. Correctly judging of his own capacities and powers, he has utilized each passing moment to he best advantage and at all times based his business principles and conduct upon the rules which govern strict and unswerving commercial in integrity. Davenport is proud of his record, inasmuch as he is one of her native sons, his birth having occurred here in 1870. His parents were Fred and Mary (Doering) Wernentin. The former came from Germany when a young man. He had previously acquired a good education in that country, and, attracted by the reports of opportunities here offered, he crossed the Atlantic, hoping to benefit his financial condition in the new world. He came direct to Davenport, where he followed the stone-mason's trade, which he had previously learned in the land of his birth. He worked on Government Island for a time and later was appointed mail carrier, which position he filled for a number of years. He then entered the employ of John Berwald but all through this period was actuated by the laudable ambition and determination of one day engaging in business for himself. When his industry and careful expenditure made this course possible, he established a stationary and book business, in which he met with growing success, building up a good trade. Later, however, he disposed of his store and became connected with the Corry & Wernentin Supply Company, when retired from active life to spend his remaining days in the enjoyment of well earned rest. He has never had occasion to regret his determination to come to America, for he has here found the opportunities which he sought and in their utilization, as the years have gone by, has gained a substantial competence. Moreover, his social environment has been a pleasing one, for he has gained many friends during the period of his residence in the city. Fred Wernentin, Jr., is the second eldest of four children, the others being, Oscar, Edward and Clara Wernentin. At the usual age he entered the public schools but when still quite young took up the plumbing trade, to which he applied himself diligently until he had mastered the business and became an expert workman. He remained in the service of others for some time but desiring that his labors should more directly benefit himself, he embraced what he believed to be a favorable opportunity for starting out upon an independent venture. He joined John Corry in organizing what was then called the Corry & Wernentin Company. From the beginning the new enterprise prospered and its progressive policy has led to the continual expansion of the business, which more recently has been organized and incorporated under the name of the Midland Plumbing Supply Company, controlling one of the largest concerns of the kind in the state. They do a wholesale plumbing and supply business enterprises in Davenport. In 1898 Mr. Wernentin was married to Miss Annie Lembke, a daughter of Mr. and Mrs. Henry Lembke, and unto them have been born two children, but the elder, Elwin, is now deceased, having been unfortunately killed in June, 1909. The younger son Leon, is still in school. Mr. Wernentin is a very prominent Mason, the "Degree of Knight Commander of the Court of Honor" having been conferred upon him, an honor to which few attain. Diligent and determined, he brooks no obstacles that can be overcome by persistent and honorable effort, and his unfaltering industry has carried him into important business relations. Surnames: Duncan, Wilson, McConnell, Freytag. One of the prominent citizens of Davenport, whose name at least is known throughout the state, is J. C. Duncan, of the Duncan Davenport Business College. He was born in Allegheny county, Pennsylvania, December 14, 1840, of Scotch ancestors, for his grandfather, James Duncan, came from the land of hills and heather in the latter part of the eighteenth century. His son, James Duncan, was born in Virginia, but was reared by a farmer in Allegheny county, Pennsylvania, where he made his home until 1844, when he came to Iowa, locating near LeClaire, Scott county. There he lived throughout the remained of his life and there died at the age of sixty-nine years. His wife, who had been Miss Jane Wilson, before her marriage, was a native of Allegheny county, Pennsylvania, and lived to the ripe age of sixty-eight years. Eleven children were born to them, all of whom grew to maturity and eight are still living. The second in this family and the eldest son, J. C. Duncan, grew to manhood with many of the responsibilities that fall to the share of the eldest among a number of children. He was about fourteen when his parents came to Iowa and can well remember the tedious trip by water in those days, when conveniences for traveling were few. He had received his early education in the state of his birth, but after his advent here attended the public schools of this county while giving the best of his labor to the cultivation of the farm under the guidance of his father. When he was nineteen he started out to make his own way in the world. He went first to Kansas with the intention of remaining for one month, but he discovered opportunities in that state and it was tow years before he returned to Scott county to take up farming. For the next fifteen years he toiled assiduously in the cultivation of the soil, except three years during the Civil war, but although he was successful in a meas! ure, he was confident that larger opportunities and a more congenial occupation awaited him elsewhere. Accordingly he entered, as a student, the Bryant and Stratton Business College of Davenport and, having competed the course of study, accepted a position as teacher in that institution, which he held until 1883, when he became part owner of the concern. 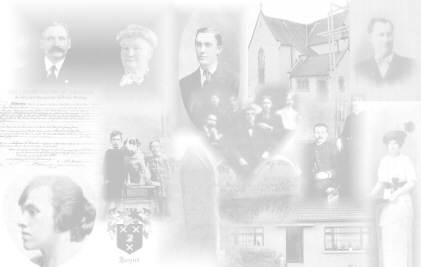 Three years later, in 1886, he bought the interests of his partners, changed the name of his school to Duncan Davenport Business College and as such has conducted it to the present time. Its students and graduates are found throughout the country, but in the state of Iowa alone fifty-six cashiers of banks were initiated into the intricacies of business in his school. This is surely a gratifying percentage, but it does not include the many other graduates who are proving a credit to the institution and its head in positions of equal responsibility, for Mr. Duncan has made a name for himself as a thorough instructor, a man of ! fine business ability and high principles, so that the college I recognized a san institution in which thorough instruction is given and the nobler ideals of life inculcated. The students as they issue from his doors are well fitted to fill responsible positions and by their achievements spread the fair reputation of the Duncan Davenport Business College more effectively than paid advertising. In 1862, Mr. Duncan wedded Miss Nancy McConnell, who like her husband was born in Allegheny county, Pennsylvania. Of the children born to them three sons and four daughters are still living. They are Ella, now a teacher; E. H., head accountant for the Armour car lines of Chicago, Illinois; Violet, at home; Katie, the wife of Phillip Freytag, of Reynolds, Illinois; J. D., the manager of J. H. C. Petersen's general store in Davenport; Charles, who is in the wholesale grocery business in Davenport; being secretary of the company and also of the Crosset Timber Company; and Laura, a stenographer for the J. H. C. Petersen Company. For more than half a century Mr. Duncan has been a resident of Scott county, and while he has taken little active part in the affairs of local government his influence ha ever been exerted in behalf of the best interests of his fellow citizens. His support has always been given to the republican party. Fraternally he is connected with the Modern Woodmen and the Masons. In the latter organization he is particularly active for he has advanced to the thirty-second degree, has been knighted I the commandery and has been admitted to the Order of the Mystic Shrine. He is one of the well known men of Davenport, where h enjoys an enviable reputation as the result of his many years of earnest endeavor and devotion to what he believed to be the right. During the dark days of the Civil war he manifested his patriotism by enlisting as a private August 15, 1862 in Company G, Twentieth Iowa Volunteer Infantry, which was engaged in frontier service through Missouri, Arkansas, and Indian Territory. The regiment also took part in the siege of Vicksburg and Fort Morgan and continued in active service until hostilities ceased. Mr. Duncan is now an honored member of the Grand Army of the Republic. Surnames: Heinz, Trenkenshuh, Claussen, Heinz, Hirschel, Fisher, Steffan. The name of Fred Heinz appears on the roll of Davenport's honored dead. He figured for many years as one of the eminent members of the Iowa bar and, moreover, wielded a wide influence in public thought and action. He was closely associated with many interests bearing upon municipal progress and as mayor of the city gave to Davenport an administration that was characterized by various practical reforms and improvements which constituted tangible evidence of his interest in and loyalty to the city. He was born in St. Louis, May 8, 1852, a son of Bonaventura and Margueretta (Trenkenshuh) Heinz, the former a native of Baden, Germany, and the latter of Bavaria. The father came to the United States in 1845 and took up his abode in St. Louis. Soon afterward he enlisted for service in the Mexican war and following the close of hostilities returned to St. Louis, where he remained until 1855, when he made his way up the river to Davenport on the Golden Era. From that time until he re! tired at an advanced age, he was wharf master and also was connected with river transportation. He was like wise active in public affairs and was influential among all classes. He came to be known as a man whose word could be implicitly relied upon and his keen insight made his judgment such as awakened public confidence. His death occurred in 1899, when he had reached the age of seventy-two years. In St. Louis he married Margueretta Trenkenshuh and their children were: Fred, of this review; Carried, who died in 1901 as the result of an operation; Henry, who is now the publisher of the Muscatine (Iowa) Tribune; and John, who is mentioned elsewhere in this work. Fred Heinz was a small boy when he accompanied his parents on their removal to Davenport. He afterward assisted his father in discharging the duties of wharf master but developed an inclination for the study of law, and with a desire to enter the professional filed, he began reading in the office and under the direction of Ernst Claussen, at one time mayor of Davenport and a prominent lawyer here. His ability was soon recognized and following his admission to the bar he was admitted to partnership by his preceptor, the firm of Claussen & Heinz being thus formed. This relation was maintained from 1875 until 1881, after which Mr. Heinz practiced alone until 1886. In that year he became associated with A. J. Hirschel, now one of leading members of the Chicago bar. They practiced under the firm style of Heinz and Hirschel until 1890 and in July, 1891 Mr. Heinz became associated with L. M. Fisher in the firm of Heinz & Fisher, which partnership continued until the death of Mr. Heinz in 1904. They were the most prominent representatives of the profession in Davenport in the department of settling and handling estates. In other fields of practice their clientage was also extensive and Mr. Heinz with comprehensive knowledge of the law became one of the most distinguished, honored and successful members of the Davenport bar. He attained to a position of prominence because of the wise use which he made of the talents with which nature had endowed him and his careful utilization of the opportunities that offered. He was always a close and discriminating student of legal principles and in the presentation of a cause before the courts was a strong, logical advocate, never at fault in the application of a legal principle. He also became recognized as a leading factor in financial Bank, of which he was elected the first president. For a number of years he was also vice president for Iowa of the National Bankers convention and each year was selected chairman of the Iowa committee. It was not alone his business and professional interests, however, that entitled Fred Heinz to classification with the leading citizens of Davenport. His public service was of a most important character, characterized by the utmost devotion to the general good and by tangible efforts in behalf of the city at large. In his earlier hears he was accounted one of the leaders of the democratic party in Iowa and for twenty years was chairman of the county and city democratic committees. At length, on account of the attitude of his party toward the money question, he became allied with the gold wing of the democracy and ultimately affiliated with the republican party. On the democratic ticket he was elected to the offices of county and city attorney for several terms and in that position carefully conserved the legal interests of the people at large. In 1884 he was elected to the offices of county and city attorney for several terms and in that position carefully conserved the leg! al interests of the people at large. In 1884 he was elected district judge but in the contest was counted out. In 1900 he was elected mayor of the city upon the republican ticket and entered upon the duties of the office for a two years' term. His administration was marked by the inauguration of many public movements for the interests and welfare of the city. He introduced and championed the movement which resulted in the city council passing an act dispensing with the poll tax. He also inaugurated the present sinking fund. It was likewise during his term that the Carnegie library fund was secured and an important move was made in the elevation of the Rock Island tracks in the city and the erection of a new depot. While serving a chief executive he was instrumental in securing a city ambulance and many other evidences could be given of the fact that he was a practical idealist, working ever along progressive lines but as wisely utilizing the practical means at hand for the accomplishment of his purpose. On the 21st of September, 1878, Mr. Heinz was married to Miss Hermina Steffen, a daughter of Claus and Margueretta Steffen. Her father came from the north of Germany in pioneer times and engaged in the cooperage business in Davenport. At his death Mr. Heinz left a family of four daughters: Alice M., Flora F., Zella F. and Norma. He was always a home man, finding his greatest happiness at his own fireside, yet he had appreciation for social interests as represented in different organizations. He belonged to the Davenport Turner Society, the Veteran Volunteer Firemen's Association and to the Knights of Pythias. He was likewise a member of the Iowa Legion of Honor. Progress and patriotism might well be termed the keynote of his character, for in all things, whether of a public or business nature, he mad substantial advancement and in his relations to the city was actuated by a most earnest desire for the public good. Honored and respected by all, no man occupied a more enviable position in the regard of his fellow townsmen than did Fred Heinz, who passed away July 10, 1904. In those circles where the leading men of Davenport are wont to gather he has since been sorely missed. Few men are more prominently before the public in Davenport than H. B. Betty, an able lawyer and one of the most prominent workers for civic reform and progress. Believing that the same honesty should be maintained in public affairs as in private life and that as rigid integrity should be maintained in the execution of the duties of public office as in the conduct of business affairs, he has labored persistently, earnestly and effectively in opposition to all lawbreaking methods, which in previous years existed unrestrained in Davenport. He has accomplished much and the city owes to him a debt of gratitude for what he has done. The birthplace of H. R. (sic) Betty was a farmer in Rock Island county, Illinois, and his natal day May 31, 1874. His father, James W. Betty, was born in County Fermanagh, Ireland, and in his youthful days came to the United States with his father, John Betty, the voyage being made in a sailing vessel. They landed in New Orleans and, proceeding up the river, settled in Rock Island county, Illinois, where the grandfather purchased a farm of six hundred and forty acres. He became a man of affairs in that locality and his son, James W. Betty, in the course of time was equally prominent. He, too, followed agricultural pursuits and remained a resident of Rock Island county until 1898, when he removed to Davenport and purchased the old Joe Le Claire place, which he now occupies. At present he is living retired but for a number of years was president of a paper mill concern at Milan, Illinois. He married Anna Crampton, a native of Brooklyn, New York, and of Irish parentage. He has never been a politician nor has he sought to figure prominently in any public light. He was educated at Danville College in Kentucky and throughout the greater part of his life has been extensively engaged in farming and stock-raising. He has only consented to put aside his business cares at rare intervals when called to township offices but for more important service has had no inclination, preferring always to concentrate his time and energies upon his business interests. He is a man of liberal education and upright character, whose life is in harmony with the teachings of the Presbyterian church, in which he and his family hold membership. H. B. Betty is the eldest of three sons and two daughters. His education was acquired at Milan, Illinois, after which he engaged in teaching in Rock Island County for two years. Subsequently he attended the Northern University at Valparaiso, Indiana, in which he spent four years, pursuing a collegiate course. He also studied law at Valparaiso and in the Chicago Law School, being graduated from the latter with the class of 1898. He then commenced practice in Davenport and was for three years in partnership with Victor Littig. On the expiration of that period he removed to Beaumont, Texas, where he practiced for three years, and while there became actively and deeply interested in politics. He was the candidate for county judge on the republican ticket and made a strong canvass on a reform ticket, exposing graft which was proving so detrimental to the best interests of that locality. Notwithstanding the democratic party has always been one of superior numbers in that locality! , he ran far ahead of his ticket and only lost by 300 votes. He received the support of the great majority of democrats who are public-spirited and fair-minded citizens and was also supported by the democratic press. He has ever been found on the side of clean politics and against graft and lawbreaking. He believes in a governmental policy that shall be burglary protection and at all times has stood in opposition to misrule in public affairs and in support of every project tending to bring about an honest administration. His father's interests caused him to return to Davenport and in 1908 he was joined by his brother Frank, who had graduated from the Michigan State university at Ann Arbor, in the organization of the present partnership that exists under the firm style of Betty & Betty. This firm represents the civic federation of Scott county which was organized in 1907 to prevent the violation of law by saloon keepers. Mr. Betty commenced work in February, 1908, at which time saloons were running in open violation of the law. He at once made vigilant warfare on such and has so continued to the present time with the result that there has been a great change in conditions, every saloon now complying with the strict letter of the law. When he began his work there was open gambling everywhere-a condition that is now unknown. In this time Mr. Betty has prosecuted one hundred and fifty suits against saloon keepers and, although his witnesses were mobbed and every known means used to defeat the law he has won success. Davenport has, therefore, ceased to be known as a "wide open town in everything the term implies," and now there is no cleaner or more law-abiding city. His efforts have, indeed, been widespread benefits, for he stands as the champion of all that is righteous and just in municipal government, and as the years have gone by his firm purpose and practical methods have gained for him the endorsement of a large number of those who seek municipal virtue as well as private honor and integrity. Surnames: Lamp, Roush, Harding, Allen, Yep. Mrs. Christina Lamp, who owns some valuable property in the city of Davenport, is the widow of Hans Asmus Lamp who was well known as a farmer of Hickory Grove township, this county. She was born in Prussia, Germany, August 16, 1837, a daughter of Frederick and Magdalena Roush, and came to the United Stats with her parents in 1852. They located in this county, where her father became well known as a butcher and meat packer. Indeed he was one of the pioneers in that line of work in Davenport. He was successful and well respected when in 1899 his long life of seventy-six years was brought to a close. His wife survived him about a year, her death having occurred in 1900, when she was eighty-two years old. Mrs. Lamp had lived in Iowa for about nine years hen, on the 6th of November, 1861, she gave her hand in marriage to Hans Asmus Lamp. He had been born in Holstein, Germany, December 11, 1834, but in 1851 came to America with his parents, Peter and Able Lamp. The family landed at New Orleans and then came up the Mississippi river to Davenport, where the father and son found work in a sawmill. Later Peter Lamp bought half a section of land in Hickory Grove township, which was partly improved at the time. He prospered well in his undertakings, acquired considerable property, and in the course of years became one of the substantial and prominent German farmers of Scott county. He and his wife both died here. Hans Asmus Lamp learned the trade of a carpenter while he worked in the sawmill after coming to Scott county, during the succeeding years followed his trade of a carpenter while he followed his trade in the winter, while in the summer he assisted his father on the farm. In both occupations he achieved a distinct success, for many of the fine residences of Davenport and the surrounding country bear witness to his skill as a workman, and the several tracts he rented won him a generous return for his labors. He rented and operated several tracts of land and in early days engaged in breaking prairie with ox-teams in other counties besides Scott. He also engaged in threshing owning a machine. On the 26th of October, 1892, his long and eventful life was brought to close. He had participated in contributed to the remarkable progress which has transformed the character of Scott county in the past half century. Unto Mr. and Mrs. Lamp were born ten children but the first two died in infancy. Herman, a carpenter in Davenport, married Miss Dora Harding and they have had nine children: Ella; Walter; Edna; Arthur; William; Laura; Agnes; Henry, deceased; and a baby. Emma lives at home. Charles, a resident of Durant, Iowa, married Miss Bertha Yep, and they have three children: Davenport and a prominent teacher in this county, who died in the Philippines when his son Philip was an infant. His widow lives with her parents, under whose roof she is rearing her tow children, James, and Philip. August is residing in Chicago, Illinois. The other children of the family died in infancy Mr. Lamp was a member of the German lodge of the Independent Order of Odd Fellows and among his fraternal brethren had made many stanch friends by whom he was sincerely mourned at the time of his death. Surnames: Teele, Dalzell, Parks, Blair, Zeuch. The name of Warrant Teele was inseparably connected with the history of federal interests in Davenport as representative of its postoffice service. For almost forty years, beginning in 1869, he was assistant postmaster, continuing in the position although the duties of the office increased year by year with the continuous growth of the city. No higher testimonial of fidelity, capability and trustworthiness could by given than a simple statement of the fact that his connection with the postoffice covered almost four decades. Mr. Teele was born in Woburn, Massachusetts, December 31, 1828, and was the last survivor of a family of seven children. He left school at the age of seventeen years and, seeking the opportunities of the west, established his home in Cannelton, Indiana, where he engaged in merchandising. In 1856 he returned to New England but soon again came to the middle west, believing that the opportunities of the Mississippi valley were superior to those offered in the east, where competition was greater. On the 11th of October, 1856 he arrived in Davenport and entered business circles of this city as a salesman and bookkeeper in the wholesale grocery house of M. Dalzell & Company, with whom he remained for about two years. Then he accepted a similar position with R. H. Parks & Company, wholesale and retail clothiers of this city. When President Lincoln was first elected to the position of chief magistrate of the nation Mr. Teele was appointed by Montgomery Blair, then postmaster general, as mail route agent between Davenport ad Dubuque. He filled the position in an acceptable manner for five years, during which time the mails between the two cities were carried by steamboat during the open season. While thus engaged Mr. Teele had many interesting experiences and accumulated a fund of reminiscences which he drew upon for many an interesting tale in later life. At length he left the government employ and for four years was a traveling salesman in the service of a paper bag company. In 1869, however, he returned to the federal employ, for when Edward Russell was appointed postmaster of Davenport Mr. Teele was called to the position of assistant postmaster and remained in that connection continuously until the 4th of July, 1908. He witnessed the growth of the office from a business of twenty-five thousand dollars per year to one of several millions, and throughout the entire period carefully controlled the interests of the government and the general public in his administration of affairs connected with the collection and distribution of the mails. On the 20th of September, 1853, Mr. Teele was married in Winchester, Massachusetts, to Miss Dora Nicholas, and in 1903 they celebrated their golden wedding, many friends rejoicing with them on that auspicious occasion. They had two children: Mrs. Herman J. Zeuch; and Jennie N., a teacher in the Lincoln school. The family are members of the Congregational church and are prominent socially in the community. Mr. Teele always gave his political allegiance to the republican party, keeping well informed on the questions and issues of the day, so that he was able to support his position by intelligent argument. He was a very public-spirited man, his cooperation in affairs of general progress being a valued element in the city's growth. His sterling character made him honored and respected by all who knew him and his fidelity to duty constituted an example that is well worthy of emulation. After a useful and well spent life he passed away January 12, 1909. Philip Morgan, who was well known as foreman in the Rock Island Arsenal and as one of the active republican leaders in Davenport, was born at Bristol, England, March 21, 1845. He spent the first six years of his life in his native country and in 1851 came with his parents to America, the family home being maintained in Pennsylvania for a time, while in 1863 a removal was made to Davenport. The father, Thomas Morgan, was a blacksmith by trade and continued his residence in Davenport until his life's labors were ended in death. His wife bore the maiden name of Rebecca Taylor. At the age of eighteen years, Philip Morgan entered the employ of the Chicago, Rock Island & Pacific Railroad company, where he remained for thirty-five years, during the lat fifteen years of which time he occupied a position as foreman in the company's shops at Horton, Kansas. In 1898, however, he resigned in order to become foreman in the Rock Island Arsenal, where he remained until about four years prior to his death, when well earned retirement. Diligence and industry were among his strong characteristics. He was always careful and watchful of the interests entrusted to his care, and as foreman enjoyed the full confidence of those whom he served and also the good will of those who served under him. On the 10th of September, 1879, Mr. Morgan was married to Miss Clara Kerker, and unto them were born two children: Isabelle A. and Edwin K. Mr. Morgan held membership in Davenport Lodge, No. 37, A. F. & A. M., of which he was a worthy and exemplary representative. That eh enjoyed the good will and trust of his fellow members is indicated in the fact that he was again and again elected to offices in the lodge, serving at one time as master. He also served as master of the lodge at Horton, Kansas. He was a recognized leader in the ranks of the republican party in Davenport and was ever active in his ward, where his opinions carried weight in political councils. He was always public-spirited and his political activity arose from his devotion to the general good for he believed that the best interests of the city and country would be conserved through the adoption of republican principles. A man of unquestioned honesty, his word was as good as any bond ever solemnized by signature or seal. He possessed a kindly spirit, was charitable and generous in disposition and was loved by all who knew him, so that his death, which occurred May 9, 1908, was the occasion of deep and widespread regret not only to his immediate family but also to the many who were glad to call him friend.